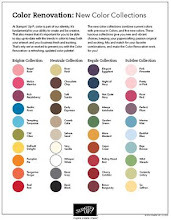 Rubber Room Ramblings: EGGSTRA SPECTACULAR EASTER TREAT BOX! You guessed it, another goody Keri and I made at our Creative Escape Weekend! This is a 2,4,6,8 box. That means you cut your cardstock to 5 1/2" x 81/2". Then you score the long side a 2", 4", 6" and 8". Score your short side at 2" and then you just cut up all four of your score lines on the long side to the one score line on the short side. In other words hold your card stock with the 8 1/2" side horizontal and the 2" score line at the bottom closest to you. Cut your 2" vertical score line up to the 2" horizontal score line; then cut your 4" vertical score line up to the 2" horizontal score line; then cut your 6" vertical score line up to the 2" horizontal score line and cut your 8" vertical score line up to the 2" horizontal score line. Fold the parts you have just cut on top of one another to form the bottom of the box. And you can decorate however you like. This would make a great box for a birthday treat or (for those friends always watching their weight) you could use some of the Birthday Basics Designer Series Paper for the box and then stuff it with a little shredded paper and stand a balloon on a stick inside. A box for a sick friend with tissue and lozenges.... the creative possibilities are endless and it is super easy to make! I decorated my box for a little Easter Treat, and I used the EggStra Spectacular Stampin' Up! 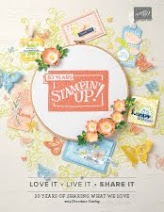 Stamp Set, which is available in the Occasions Mini Catalog. 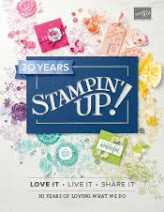 You can order it at my Stampin' Up! 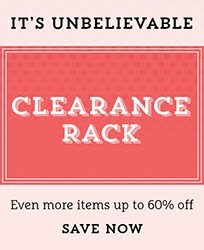 store 24/7 with the link below.